UPenn's Off The Beat Showoff Unbelievable Vocals In This Performance Of "No Roots"
So much of a cappella deals in the unexpected. Often times you're not expecting a vocal percussionist to be so impressive, the arrangement to be so unique, or a soloist to be so captivating. 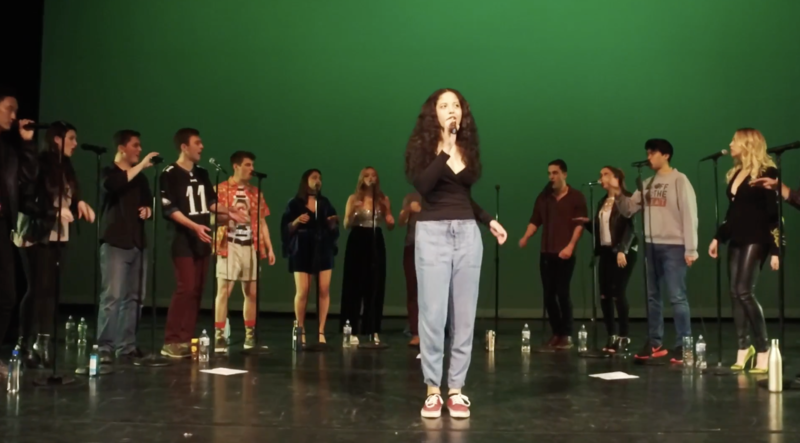 It is in this last element that has drawn us to this cover of Alice Merton's "No Roots" by UPenn's Off The Beat. The arrangement itself, which features so much fun and dynamic rhythmic elements, is enough to draw any casual listener in. But it is the vocal group's lead Lily Sherwood that caused us to stay till the conclusion. Sherwood's strong vocals, which lie somewhere in between indie and soul are absolutely gorgeous to listen to throughout. The style is reminiscent of a crossbreed between Adele and Lana Del Rey. As for the song itself, it's an atypical selection for a college group, yet it mystifies the listener with its depth and ambitious harmonies and syllables. Can we please continue to see more of this from groups?